Congratulations to Sam York on gaining the prestigious qualification of Fellow of The BHS. This after two gruelling days spent under the spotlight. Not only is Sam now Ms Sam York FBHS but she works hard for the F&I Committee in what little spare time she may find. I’d like to start by saying that I first joined the F&I Association in 2001, but let my membership lapse after just 1 year. I am so pleased that after all this time I have re-joined, and can take advantage of the fantastic opportunities the association offers. We had a really good day with Tim Downes at Ingestre on the 22nd February, kindly organised by Sue Ricketts. Thankfully we were blessed with mild, dry weather. The objective of the day was to focus on lateral work. 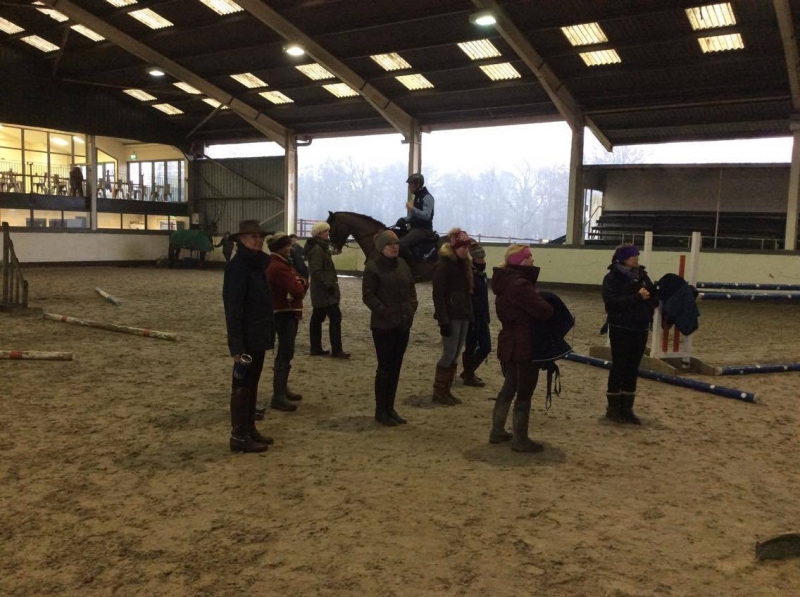 We started in the class room discussing the theory behind lateral work; we covered different lateral movements, the importance of them, where they belong in a horses training and common mistakes made by riders when asking horses to perform these movements. Tim compared riding lateral movements to a dance, the importance of riders going with the horses movement, and how it is essential to give correct, consistent aids so the horse understands what the rider is asking rather than trying to interpret what the rider thinks they are asking for. We then had 2 riding sessions. The first was to ride lateral movements, developing the quality of the movements and the position faults we commonly see when we are coaching. The second session was to give marks to the lateral movements we were observing, discuss why we would give that mark and what sort of comment a judge might give. There was a lot of discussion about judges’ comments and the need for trainers to understand the meaning behind the comments – judges can only give a couple of words, not a paragraph on what the problem is and how to improve it! It is up to coaches and trainers to interpret the comments in a way that less educated riders can understand and work from. 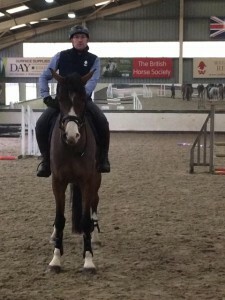 We finished off in the class room with Tim explaining in quite some detail how he gives marks for various movements, what he looks for, how easily marks are lost, and how they can be gained, he used examples such as simple changes and transitions to halt, rein back, moving immediately to walk. The day certainly gave us plenty to think about… Thanks to Tim, Sue, everyone involved in the organisation and the lovely lady who made our lunch!! 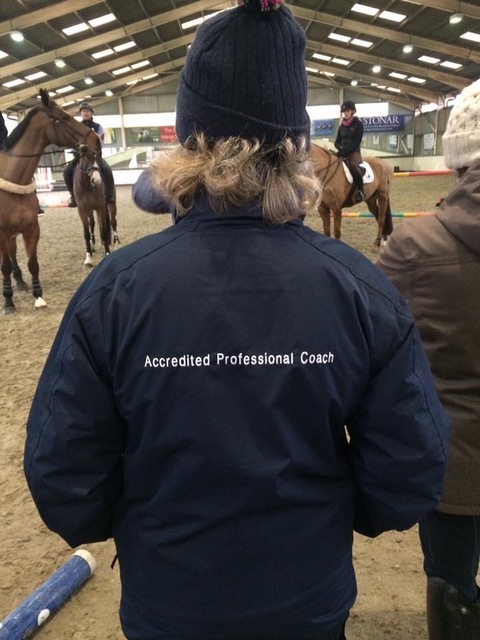 A big thank you to David Sheerin and all his Team at Wellington for organising another fabulous training day under the watchful eye of Richard. 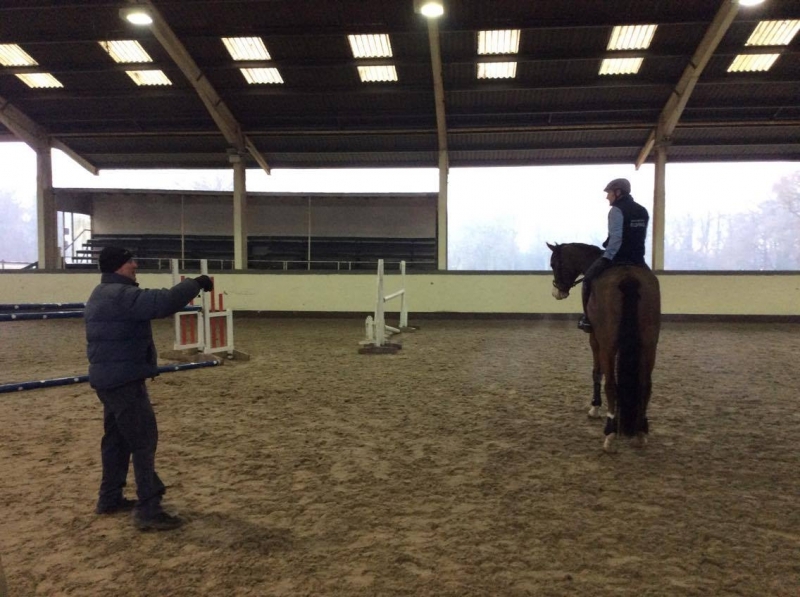 The indoor school was a godsend as the snow was falling and temperatures freezing! Richards philosophy throughout his training session was “you might have to crack a few eggs to make your omelette”. 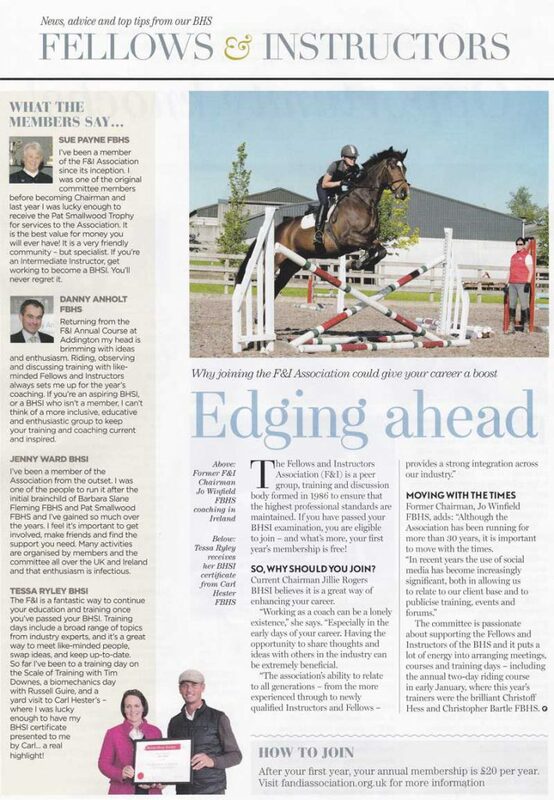 This analogy was to encourage riders to go a few steps back to correct bad habits and way of going. 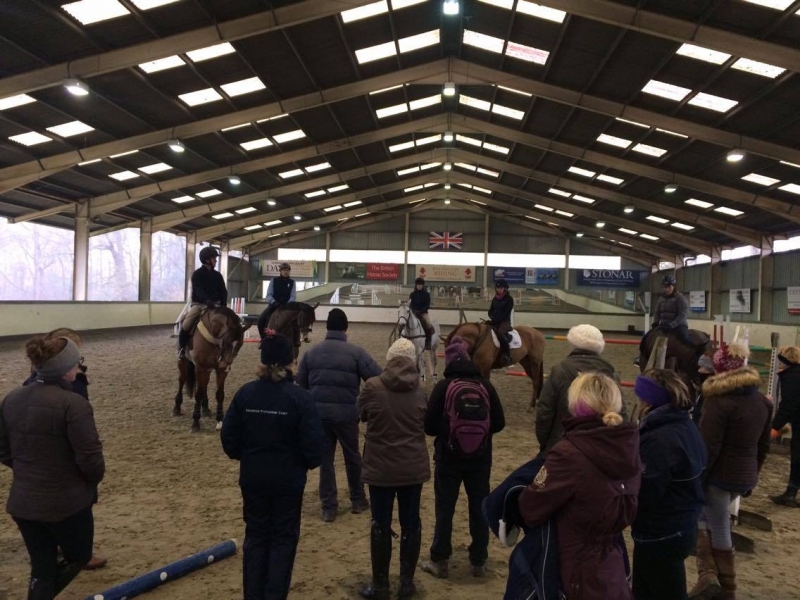 This encouraged riders to create better rhythm, suppleness, self carriage and lightness as an end result if not today then in the future training sessions to come. This philosophy was reiterated from the flat through to the jumping exercises. The exercises started with two sets of 3 poles on a tight curve at either end of the arena travelling over the centre line(L and I), these were used to both trot and then eventually canter through to establish the balance and turning of the horse underneath us. 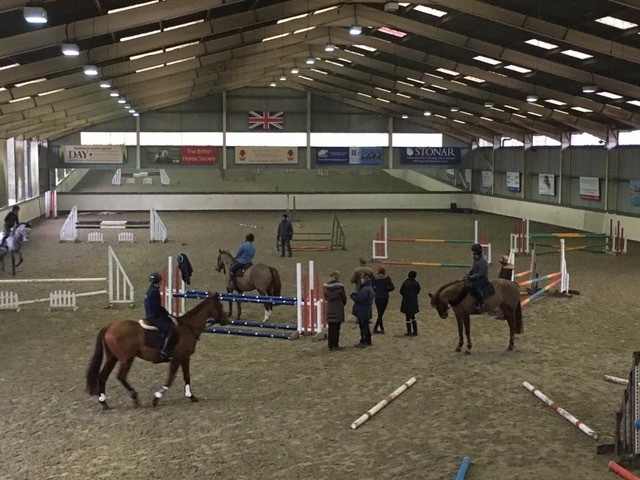 This set the horses up well for the next exercise of another 3 curving poles over G with the middle pole raised according to ability. 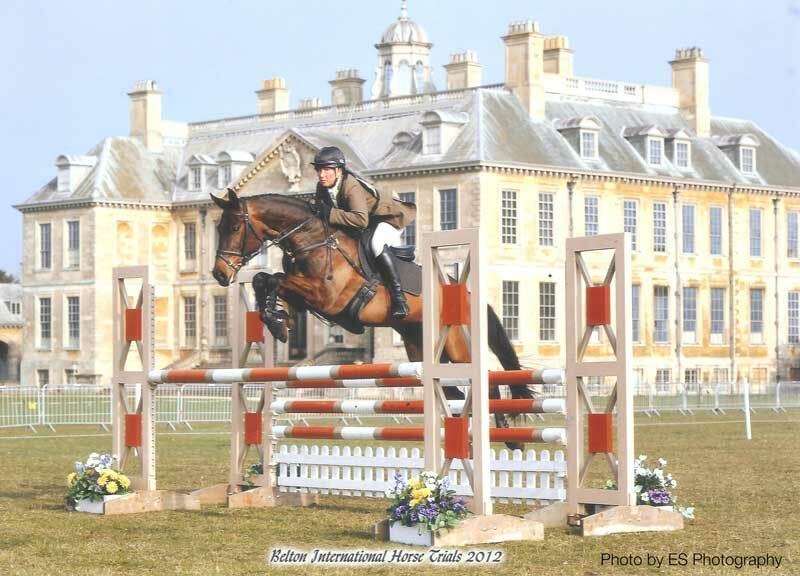 In the beginning we were all guilty of turning late which meant we were too straight to the raised pole and landing wide of the landing pole therefore losing the suppleness of the horses jump and the control of their outside shoulder. Richards enthusiasm and quick judgment soon corrected us making us look at him on approach to the exercise to create the turn sooner and land turning. The horses all learnt to back them selves off the poles and produce a more athletic jump which in turn produced a better approach for their next fence. 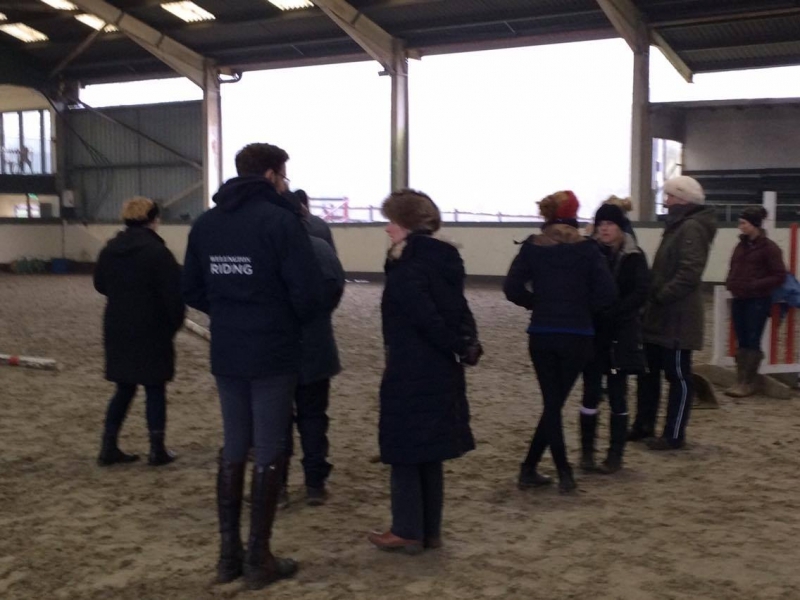 The session progressed with emphasis on maintaining a good open uphill canter with shorter turns back to verticals and oxers. 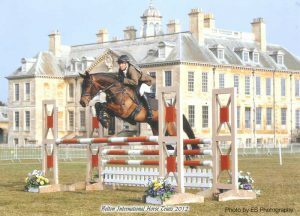 The quality of the horses’ jump improved each time making the riders aware of allowing self carriage and forward canter through the turns. 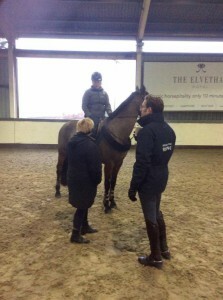 Richards quick praise followed by enthusiasm for wanting the exercise ridden even better next time was just brilliant. 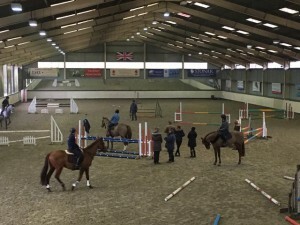 The final exercise of the curving raised poles to vertical 5 strides to an oxer was proof to see if the canter was in self carriage and balance was maintained. 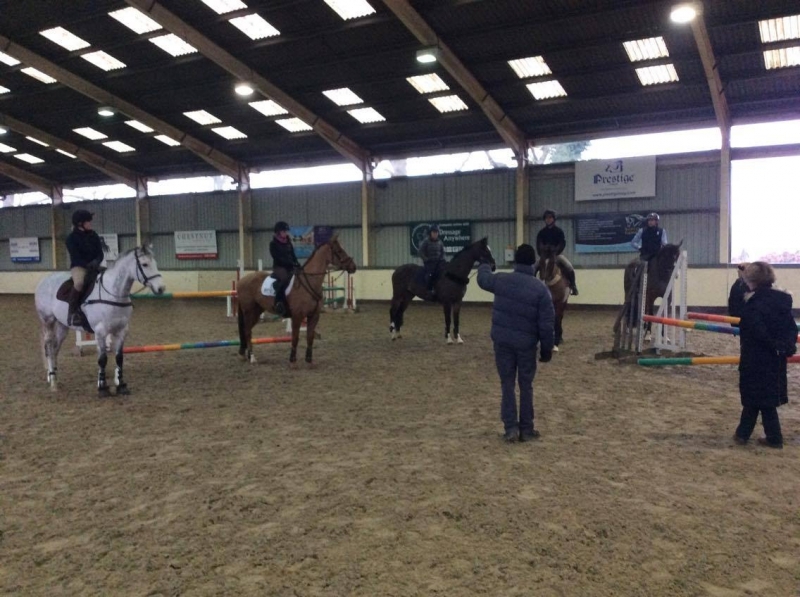 All the horses and riders had worked hard at all levels and were rewarded by good experiences. 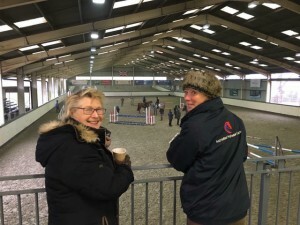 It is so helpful that members/guests spectating are able to be in the arena with Richard and can be part of the discussions. It is so valuable to listen to Richard coach and his thoughts behind the changes he would like to make with each rider and horse and why he might not pick the rider up on the most obvious mistakes. I know I came away from the day full of enthusiasm and confidence with a great jumping exercise not only for my horses but a useful tool for my coaching. Thank you Richard for being so inspirational. Lunch was a delicious buffet organised again by David, yumyum, thank you. A great time for us to sit, chat and reflect on the mornings work. We have a great network of friends in the association and we are so lucky to be able to spend days like this together both discussing and learning from the master. THANK YOU.